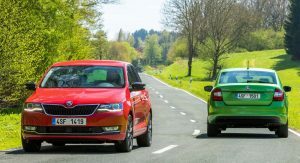 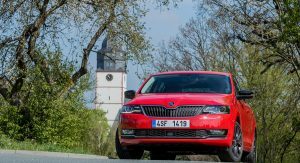 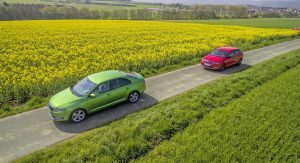 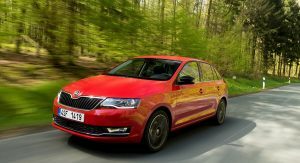 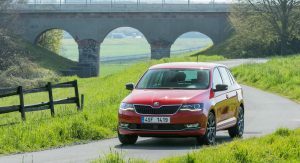 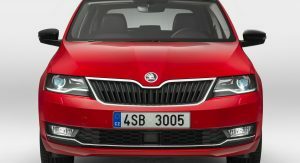 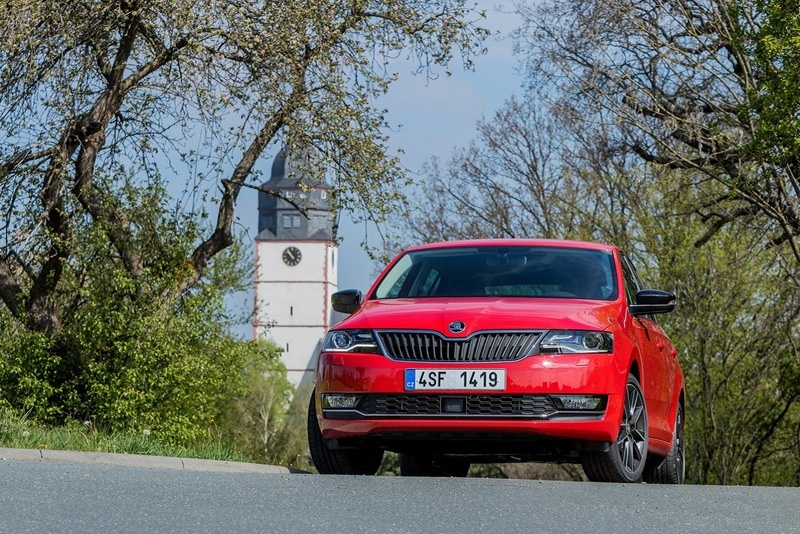 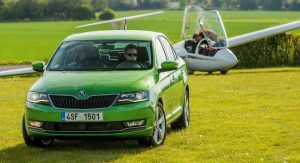 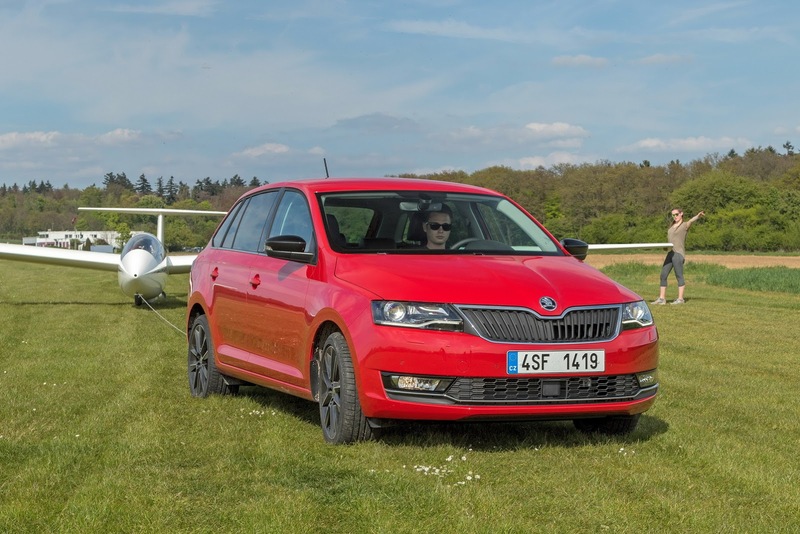 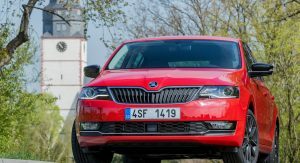 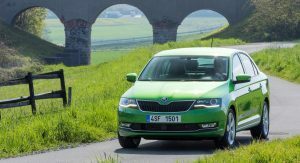 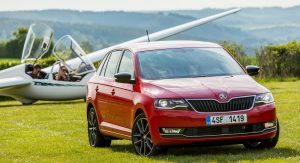 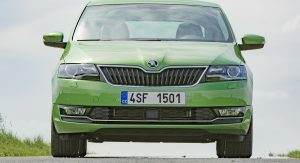 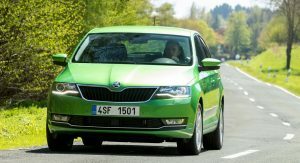 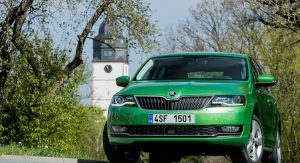 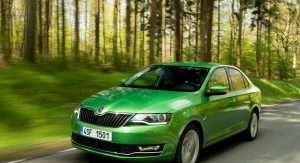 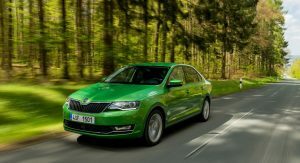 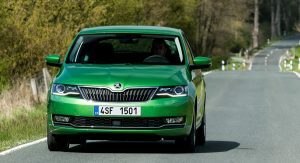 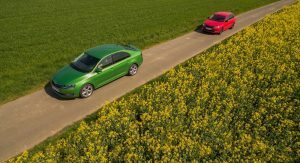 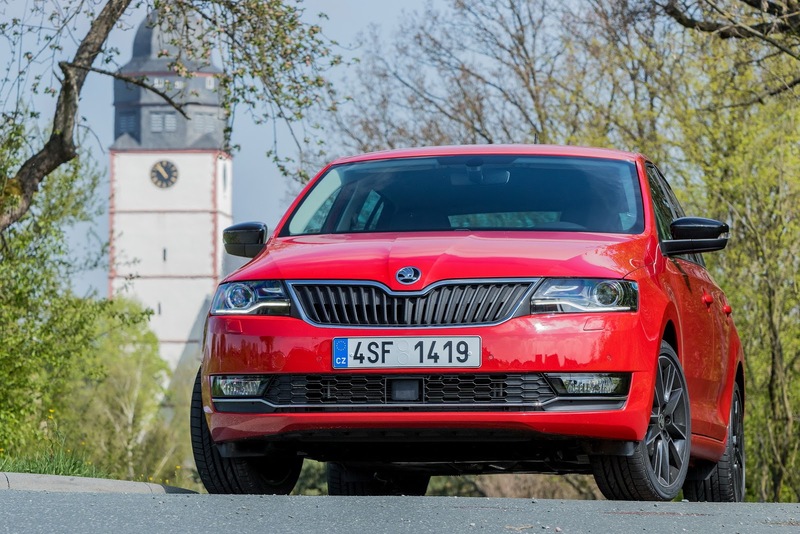 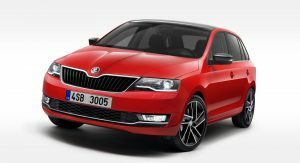 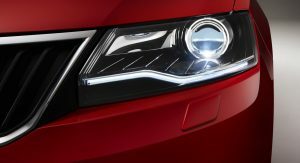 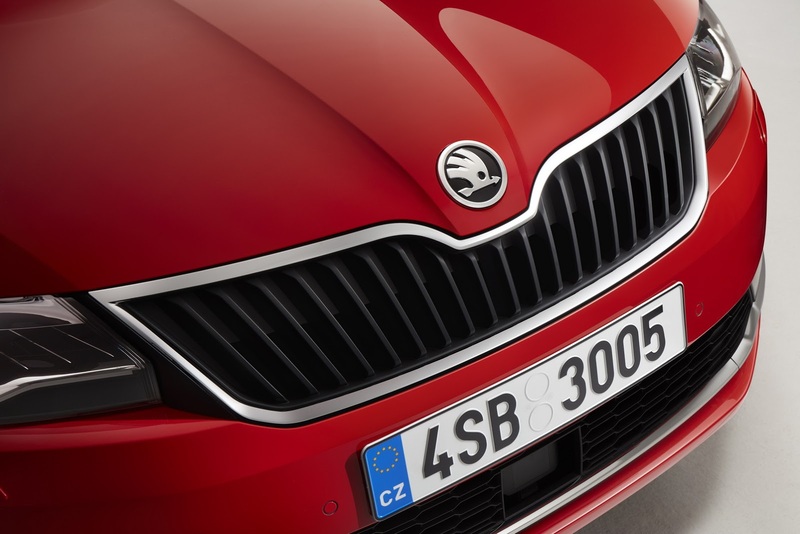 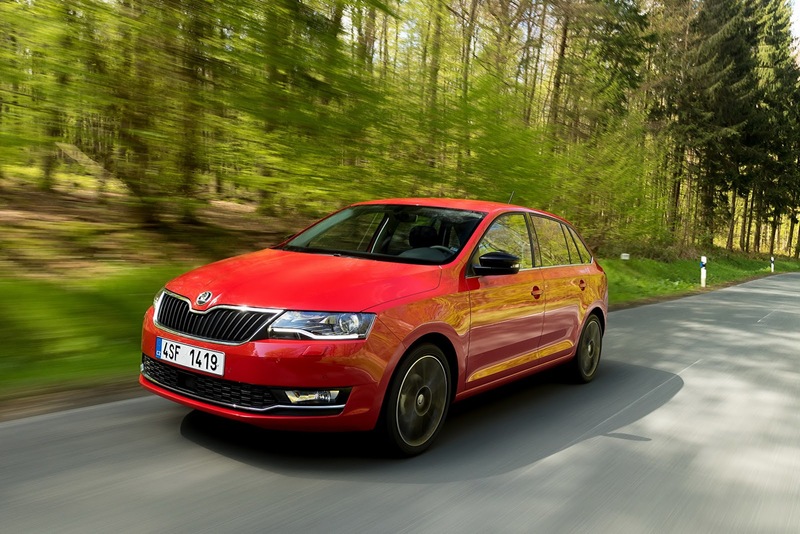 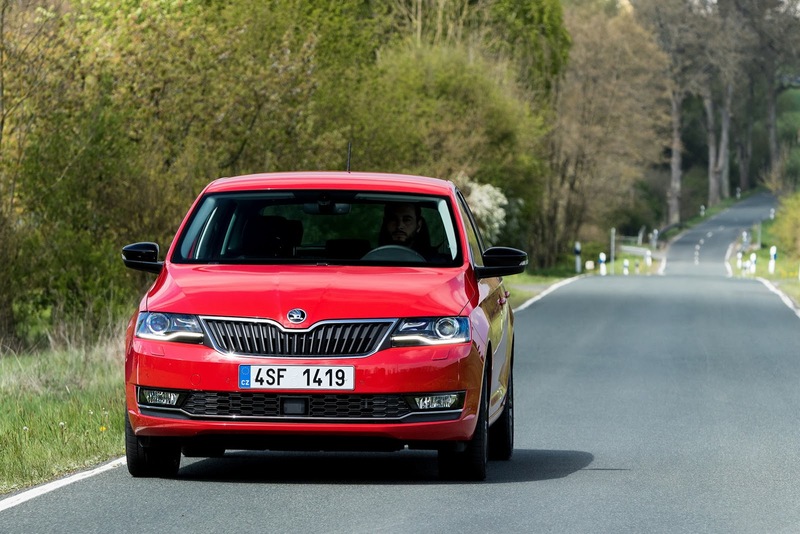 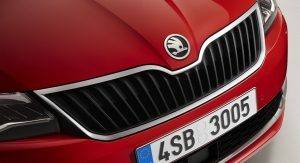 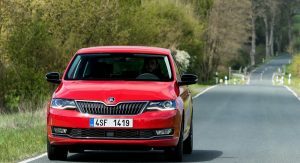 Skoda unveiled their facelifted Rapid and Rapid Spaceback models during this year’s Geneva Motor Show, boasting a fresh design and a new 1.0-liter TSI petrol unit. 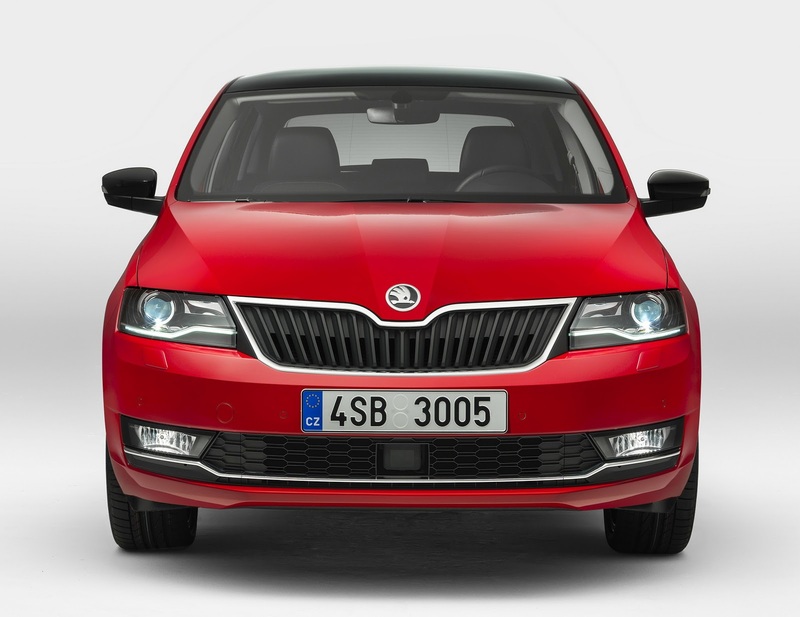 In terms of look, both updated Rapid siblings come with new bi-xenon headlights and LED daytime running lights. 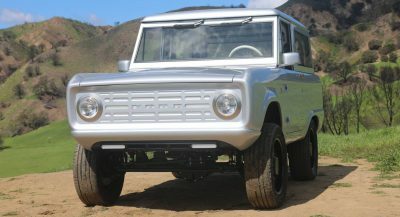 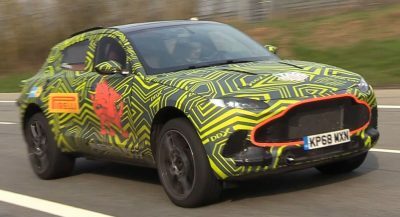 The lower part of the bumper has also been redesigned to house the modified fog lights. 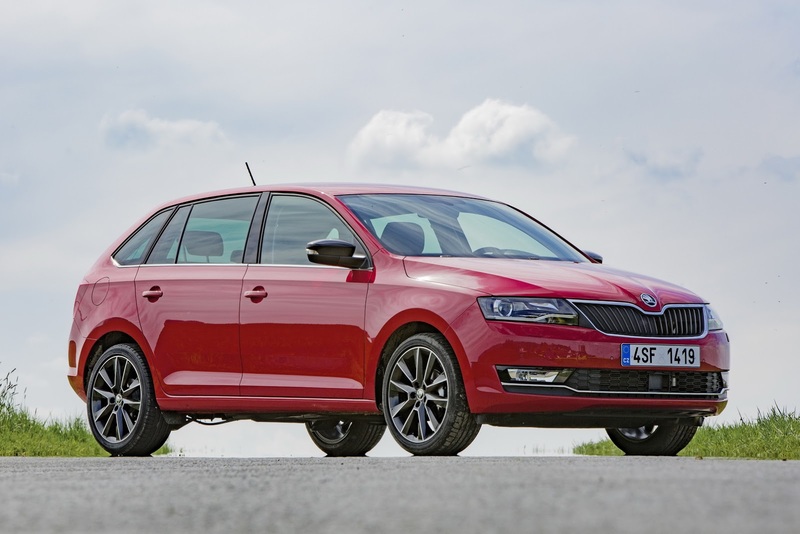 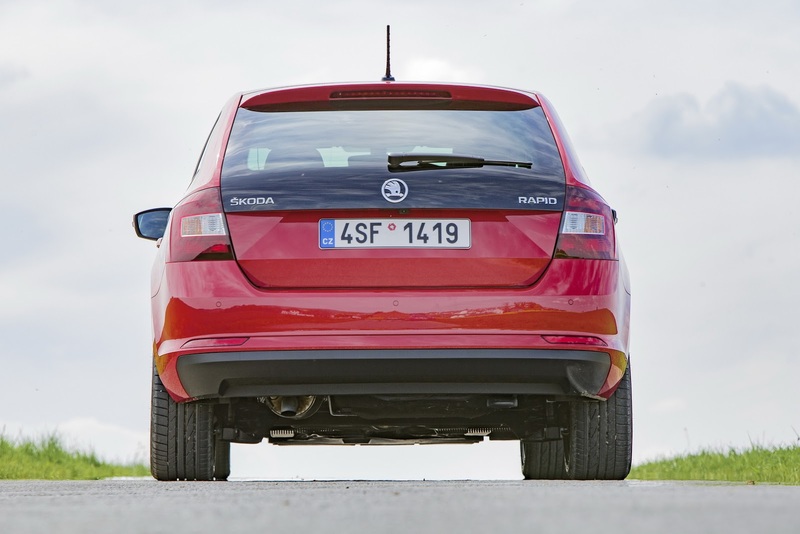 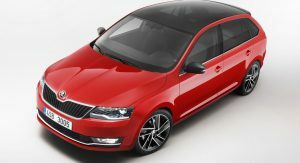 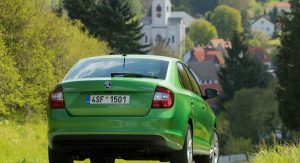 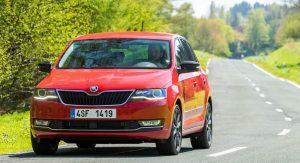 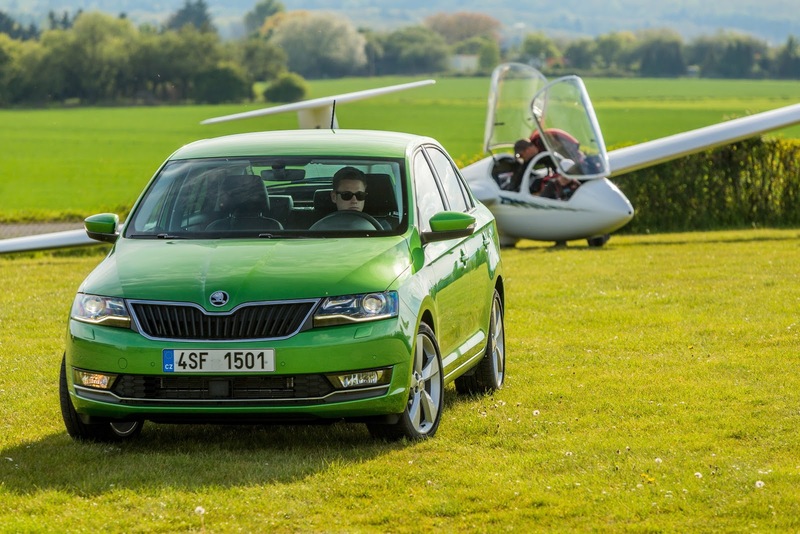 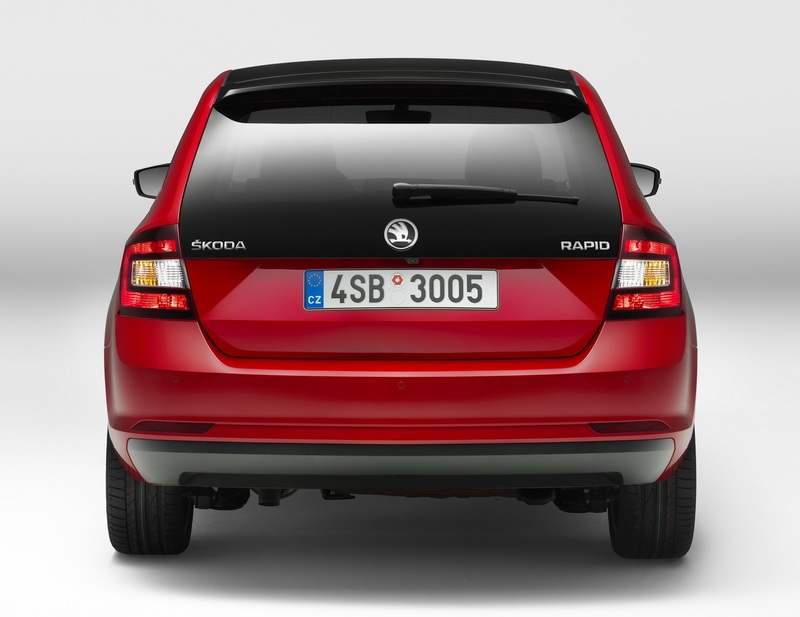 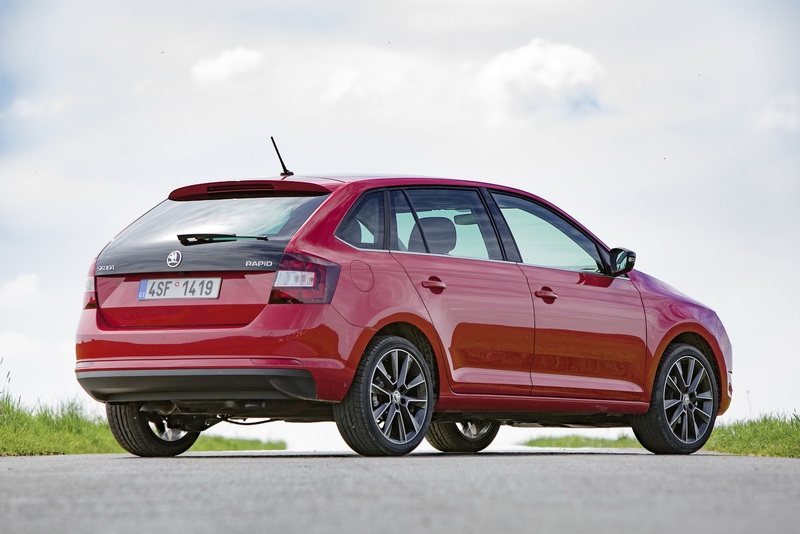 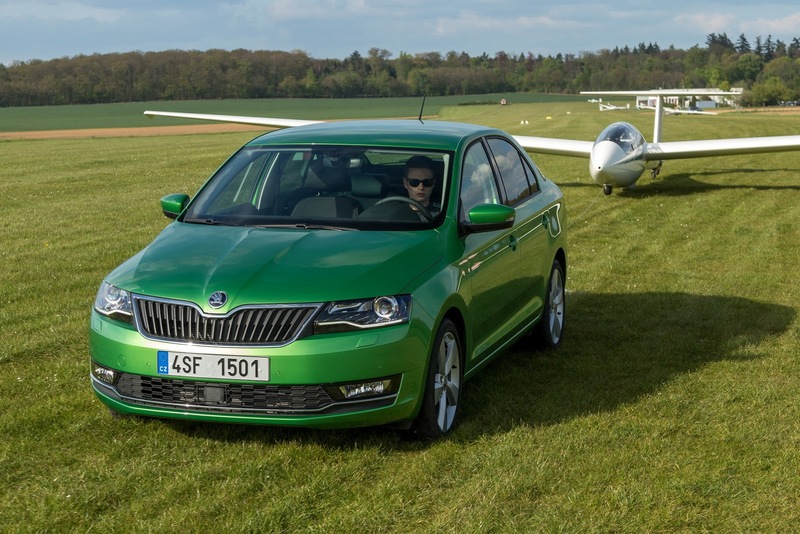 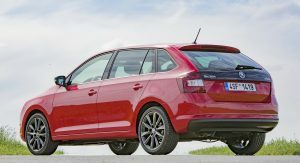 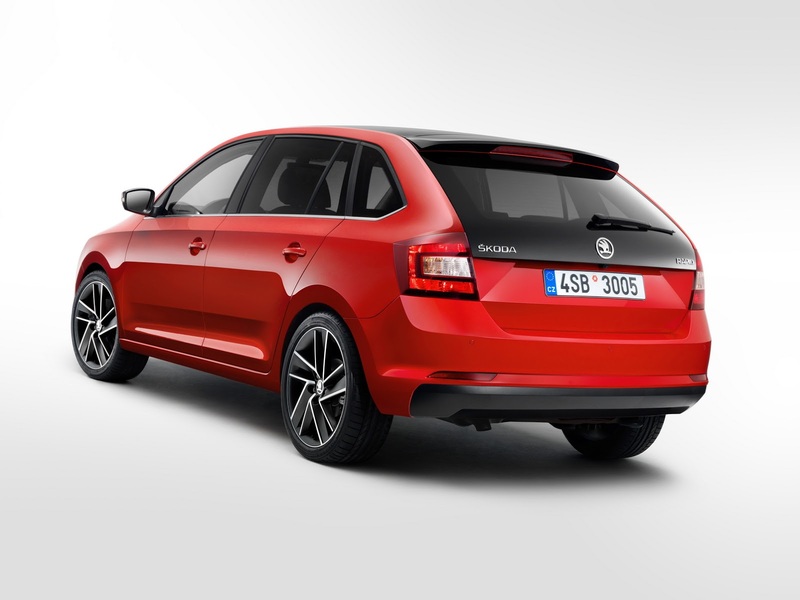 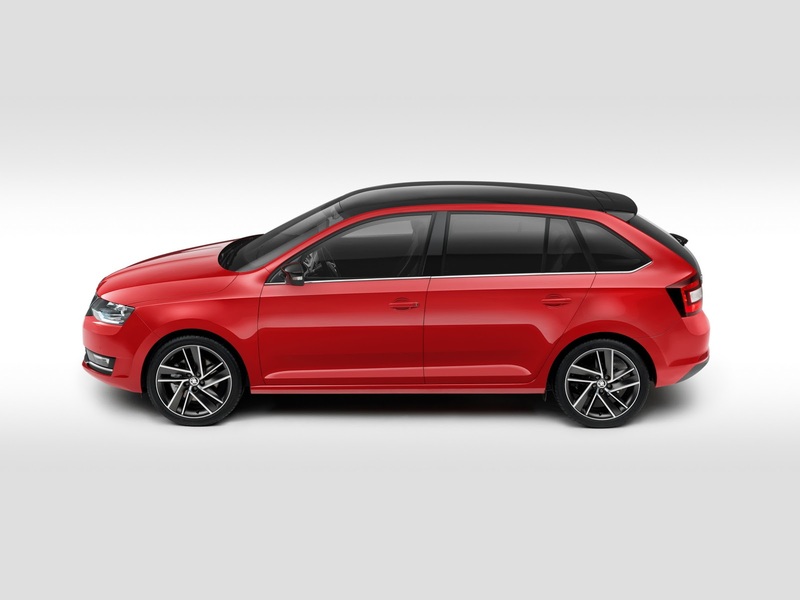 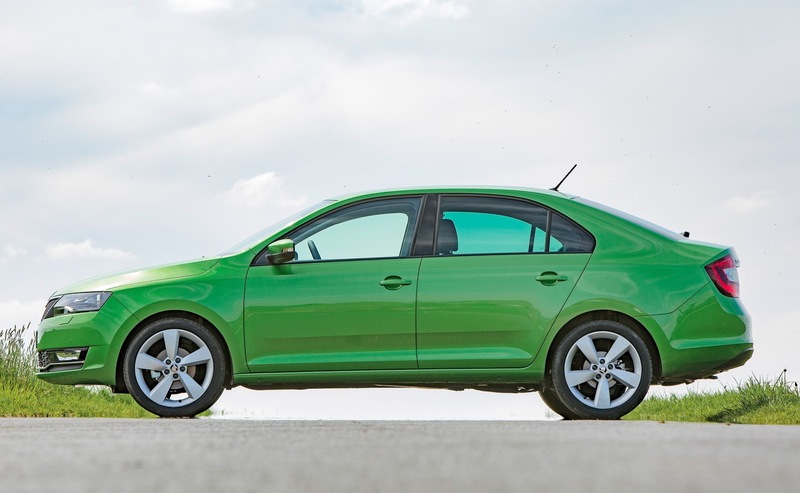 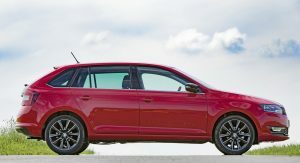 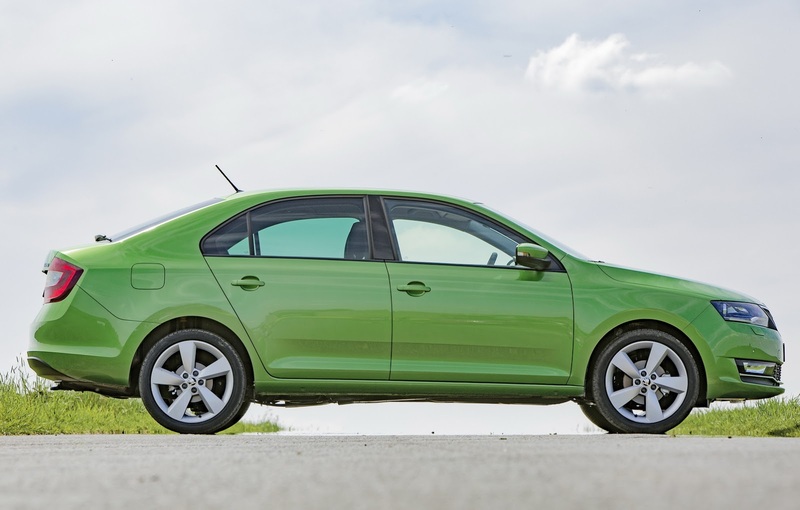 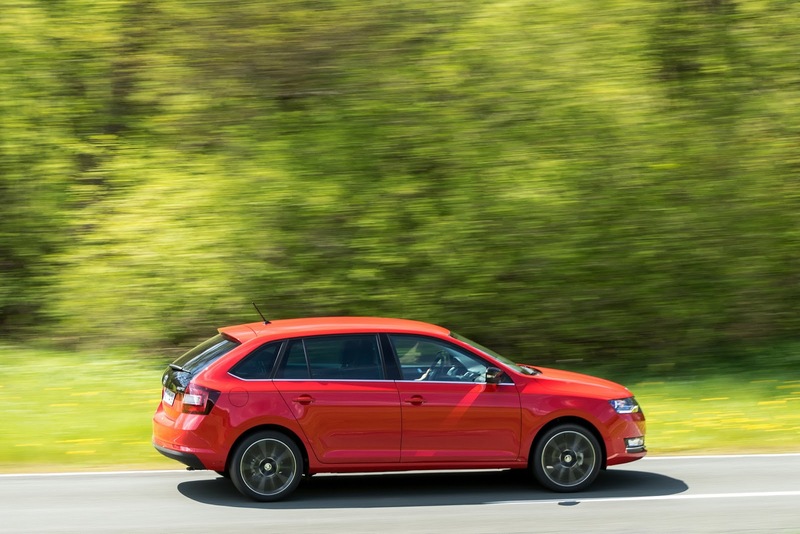 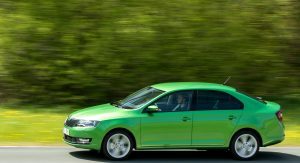 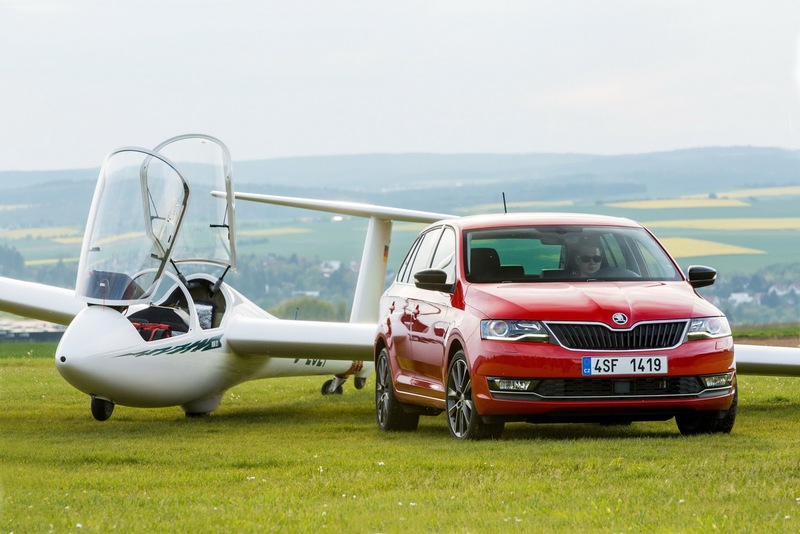 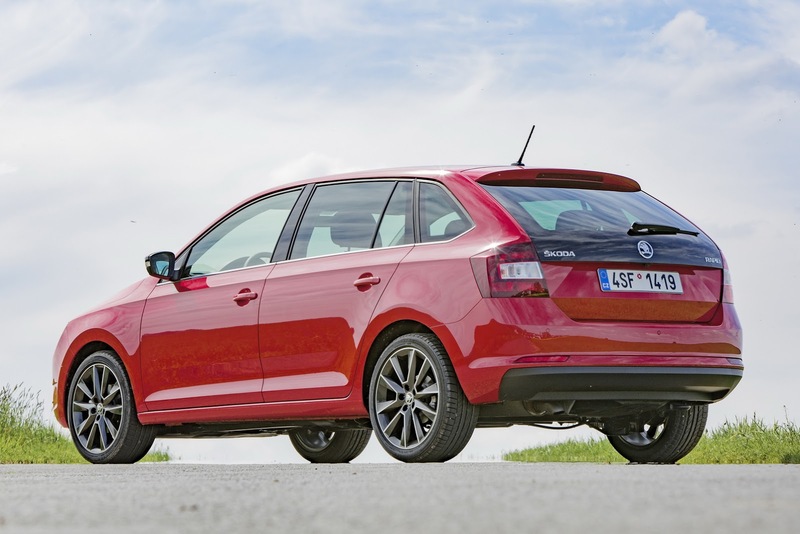 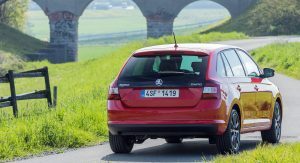 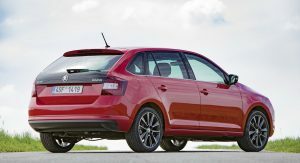 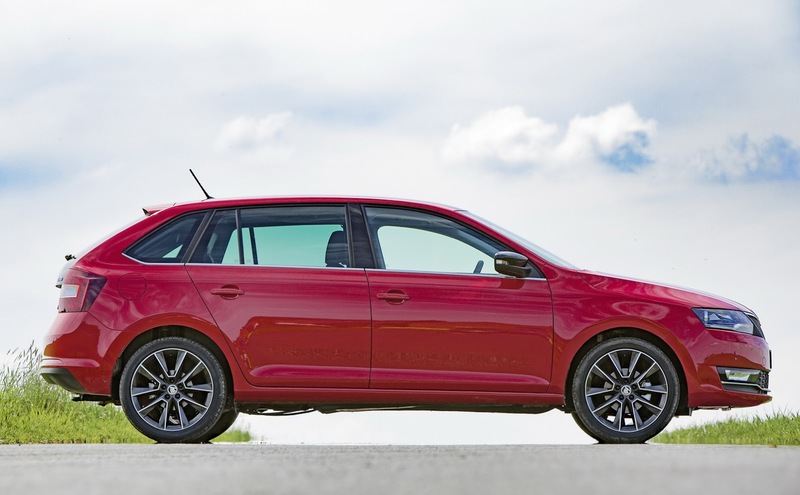 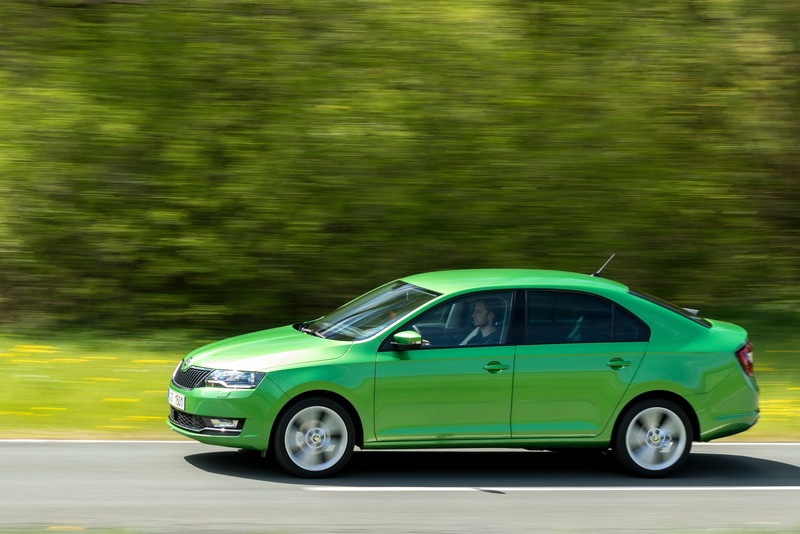 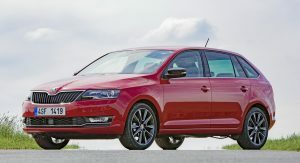 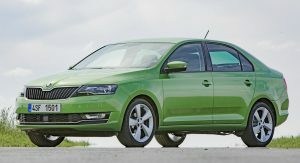 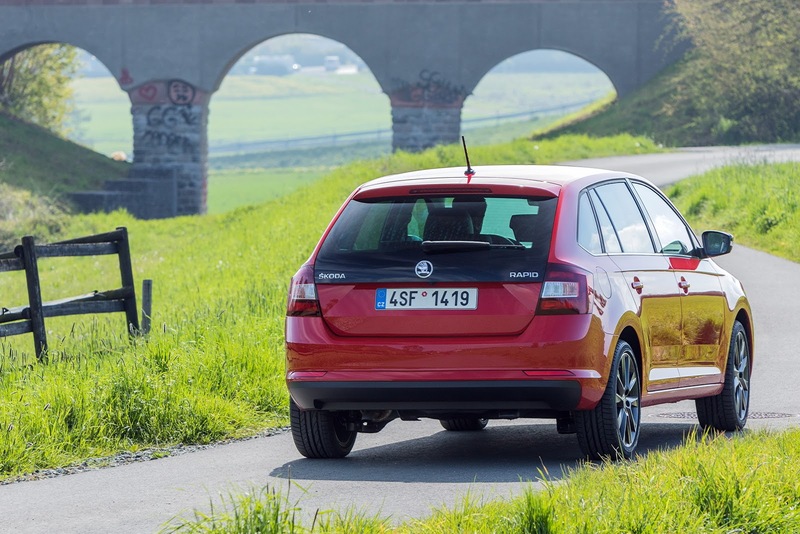 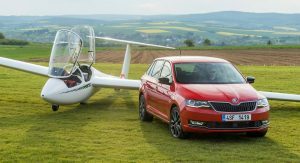 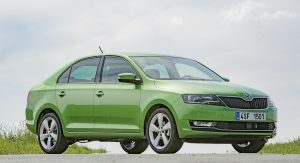 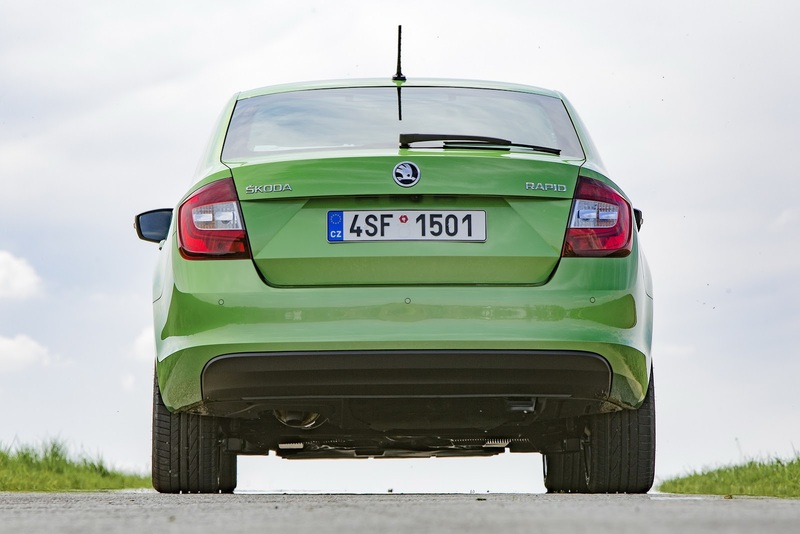 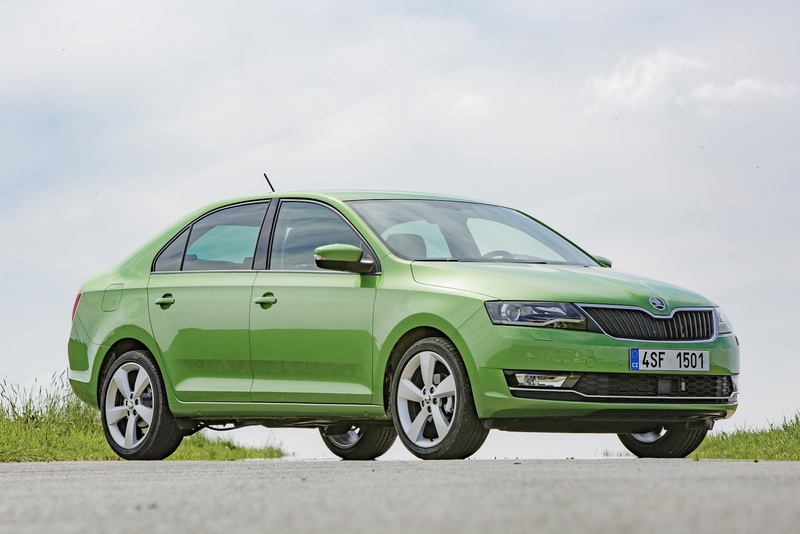 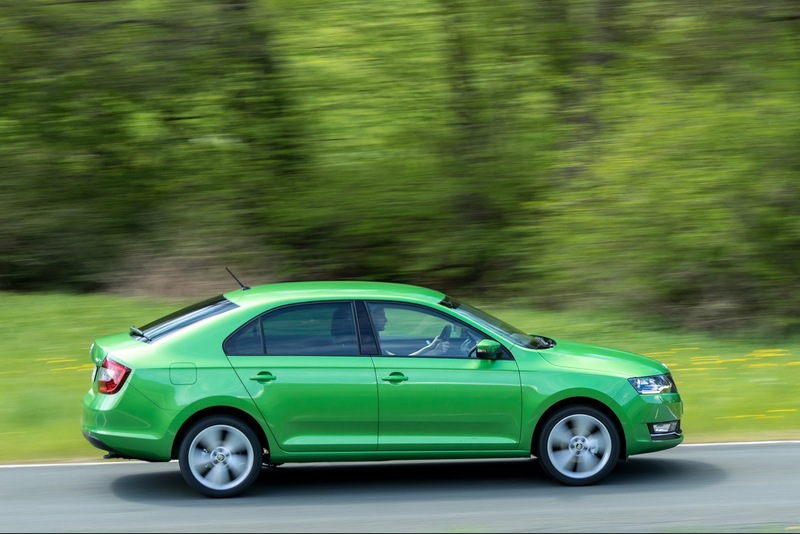 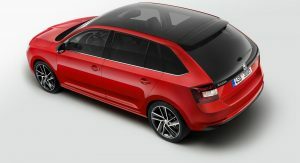 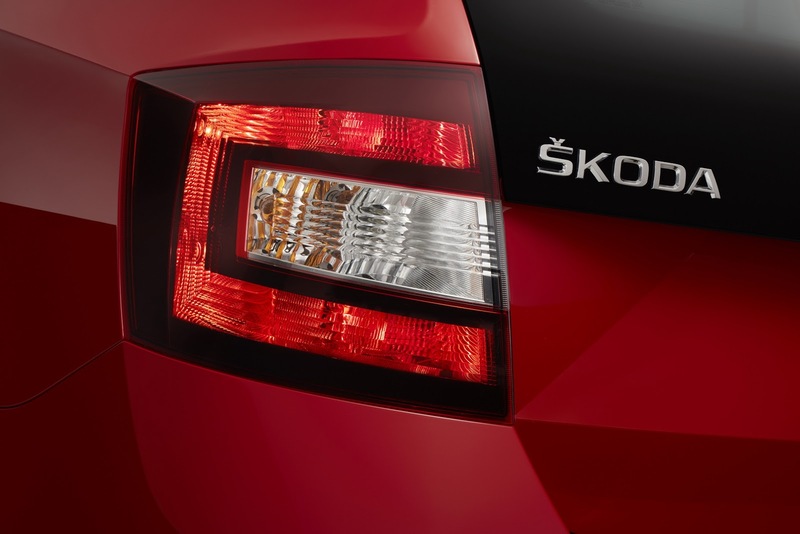 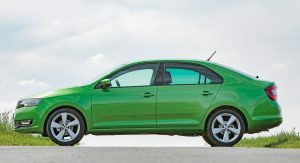 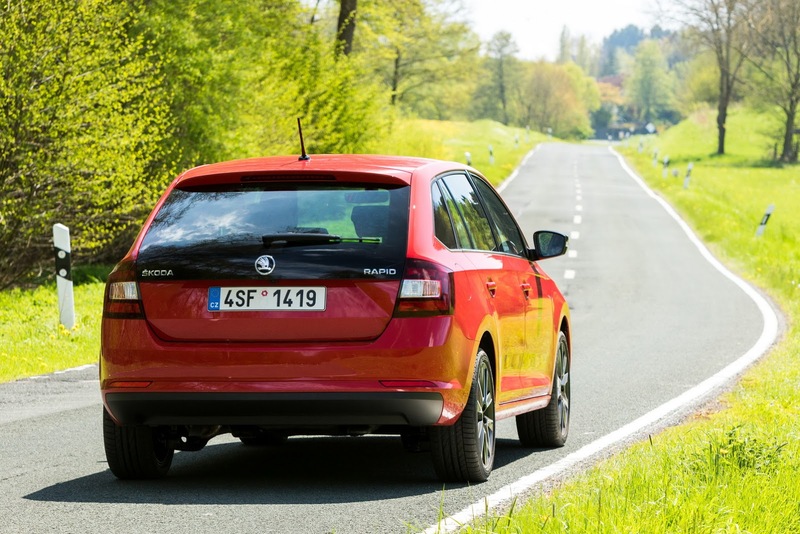 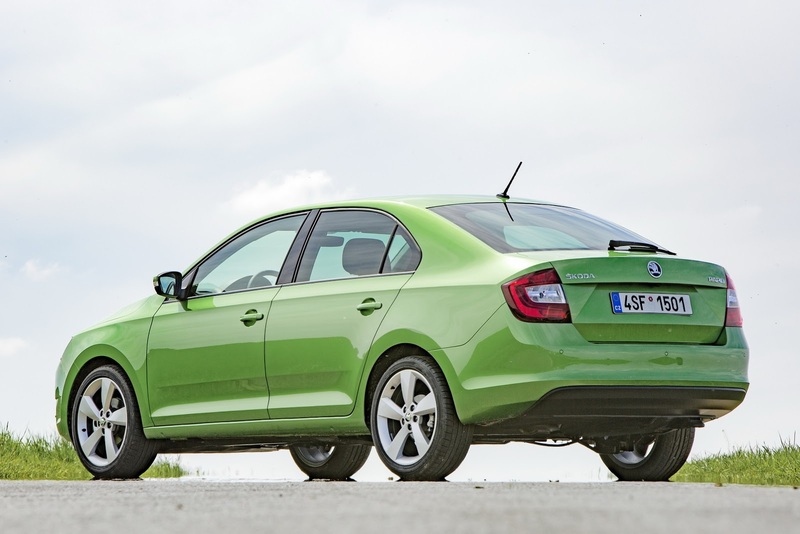 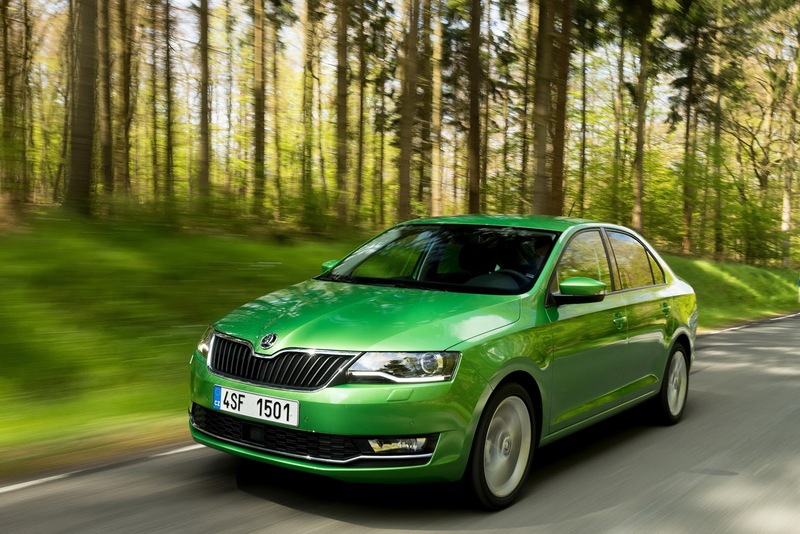 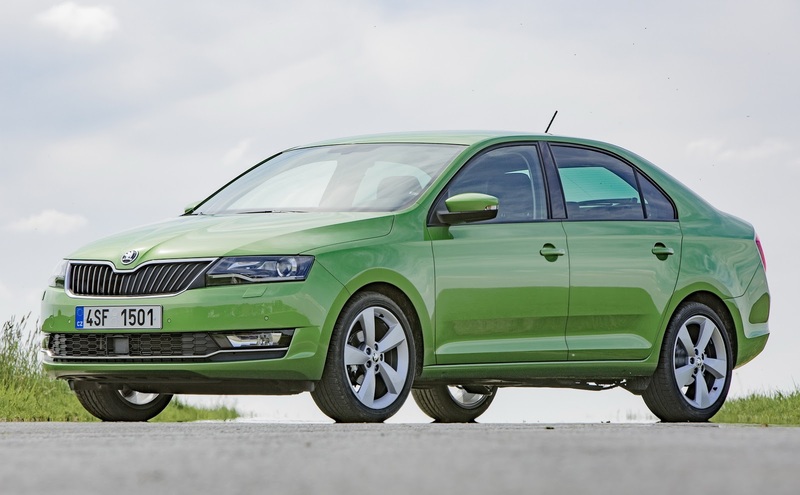 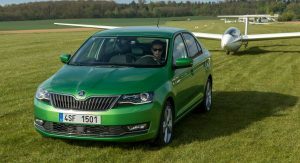 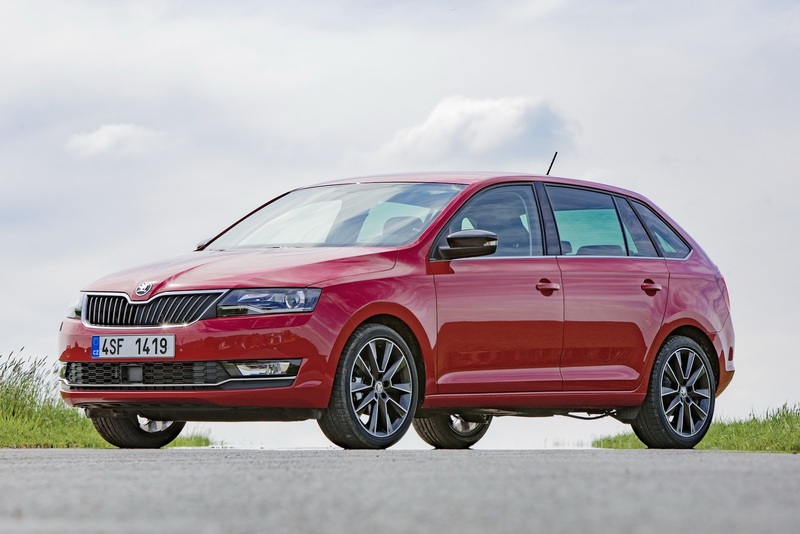 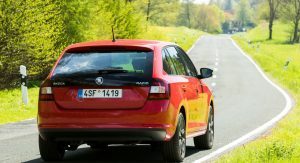 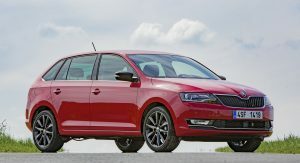 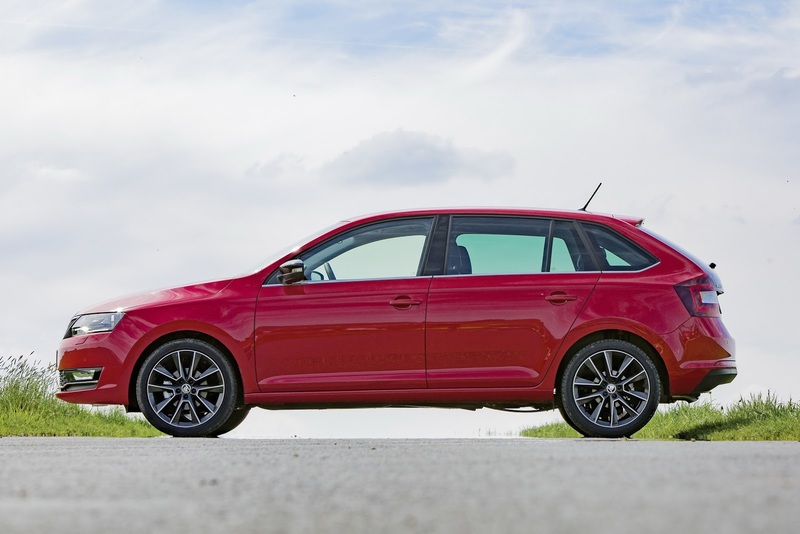 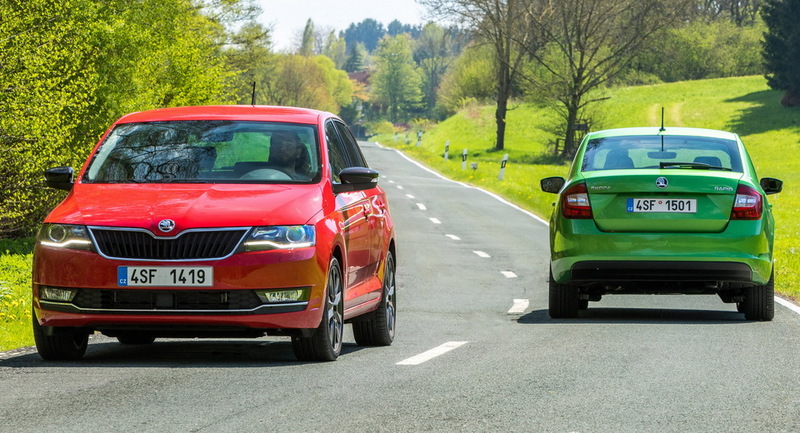 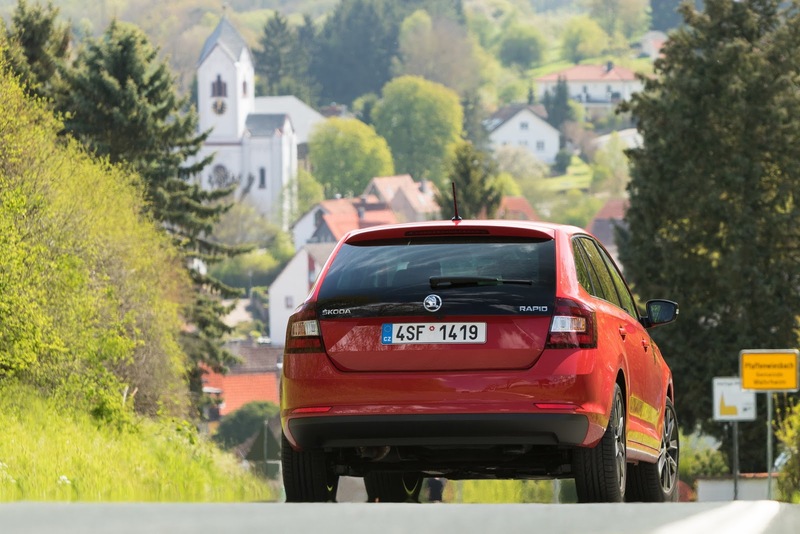 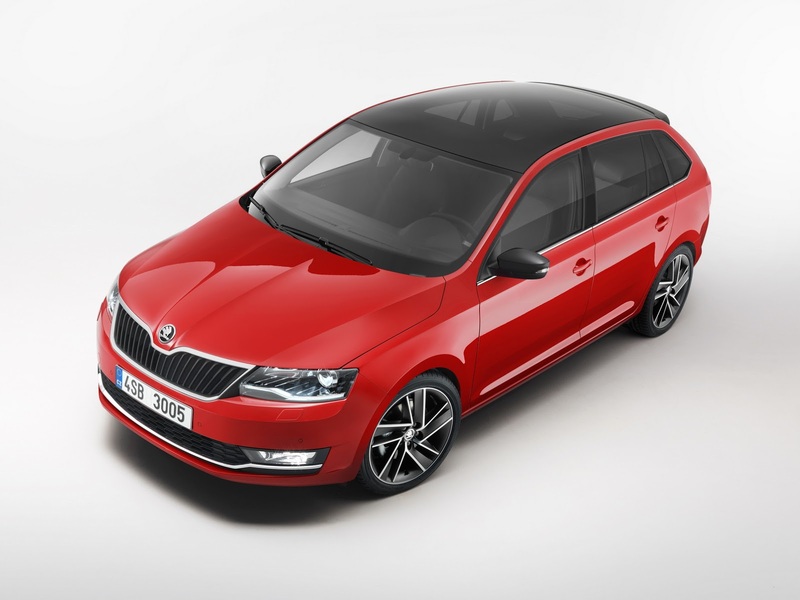 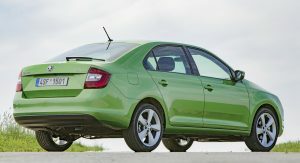 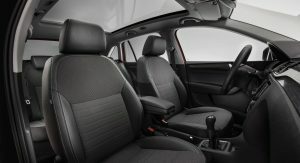 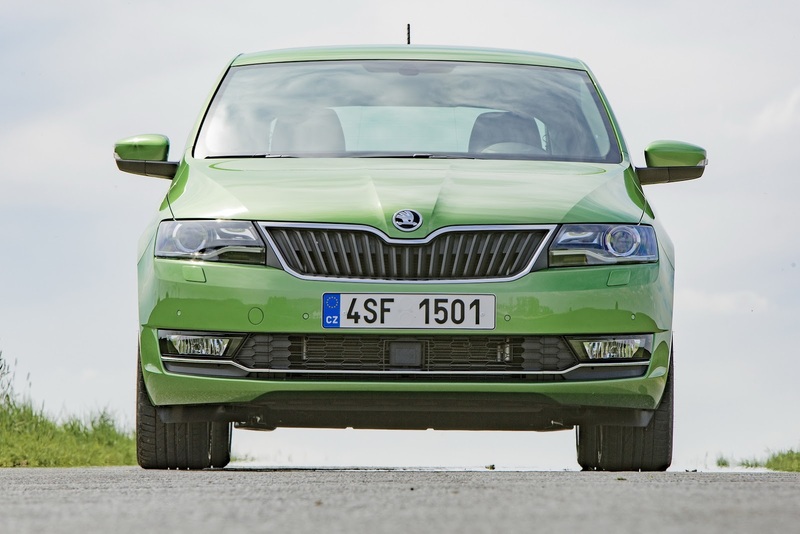 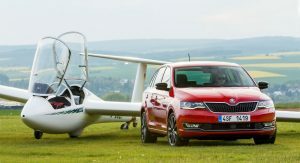 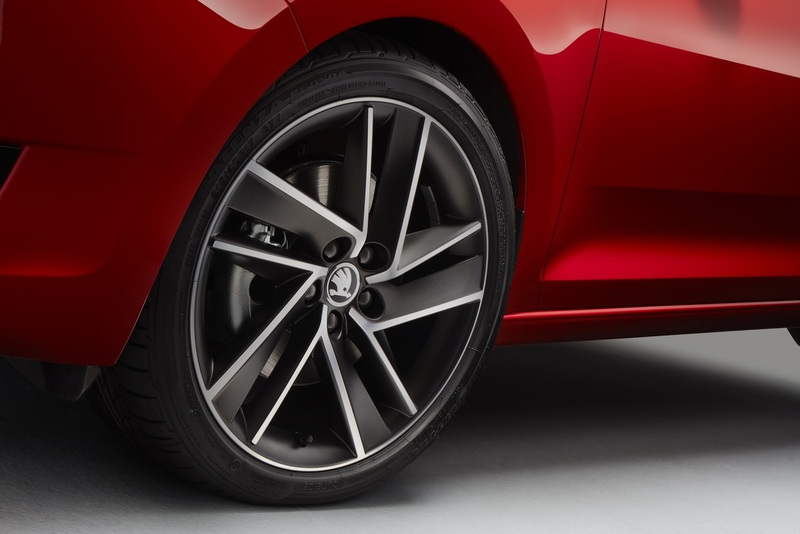 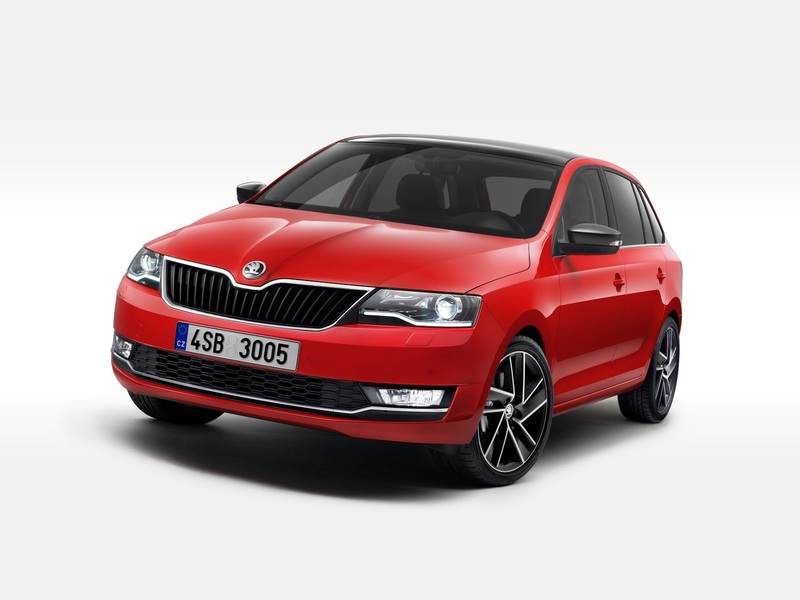 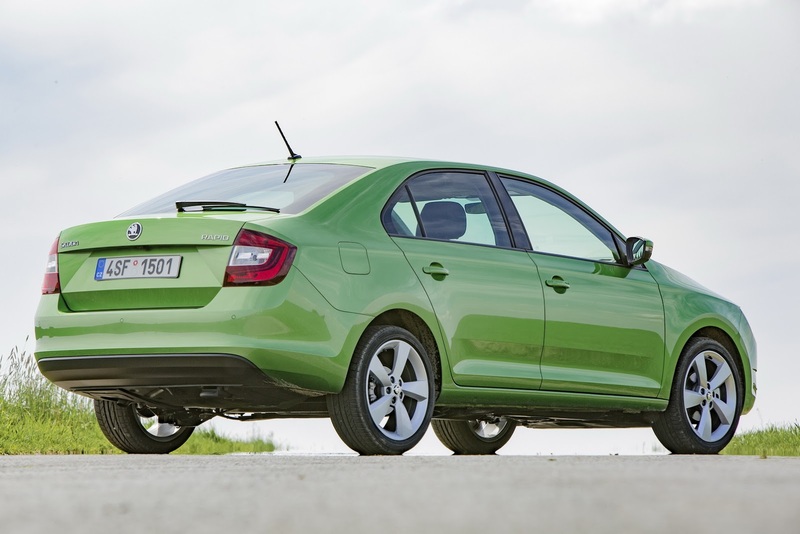 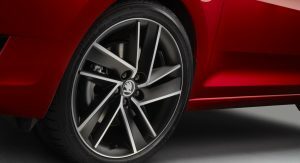 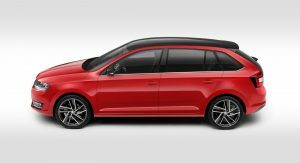 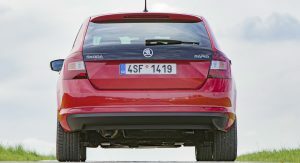 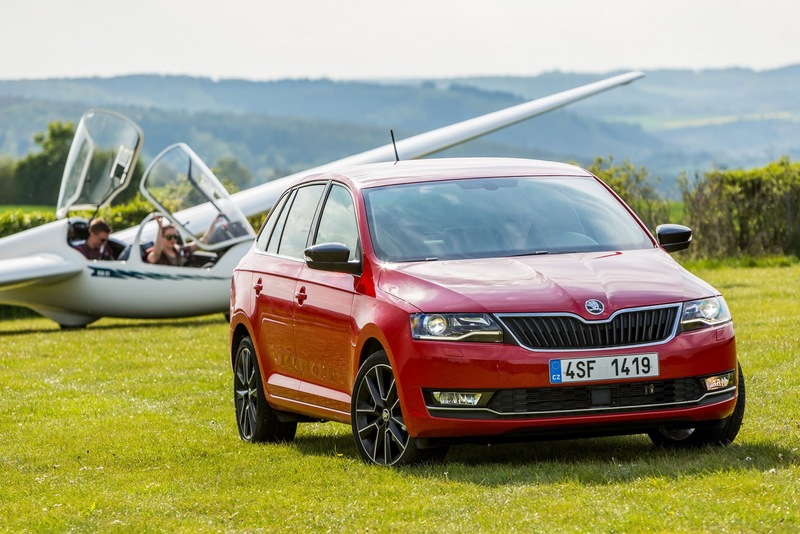 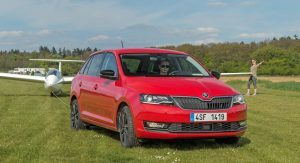 Skoda have also extended the rear window of the Rapid Spaceback, while introducing a new range of wheel designs. 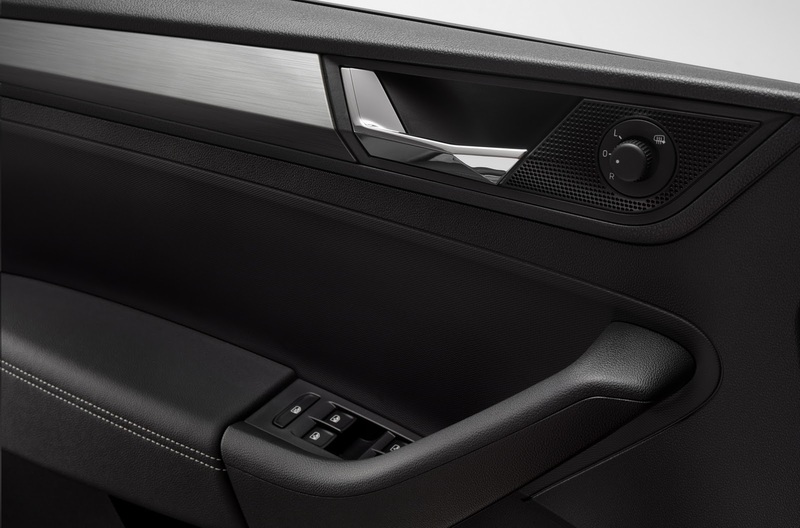 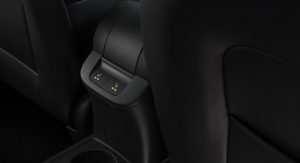 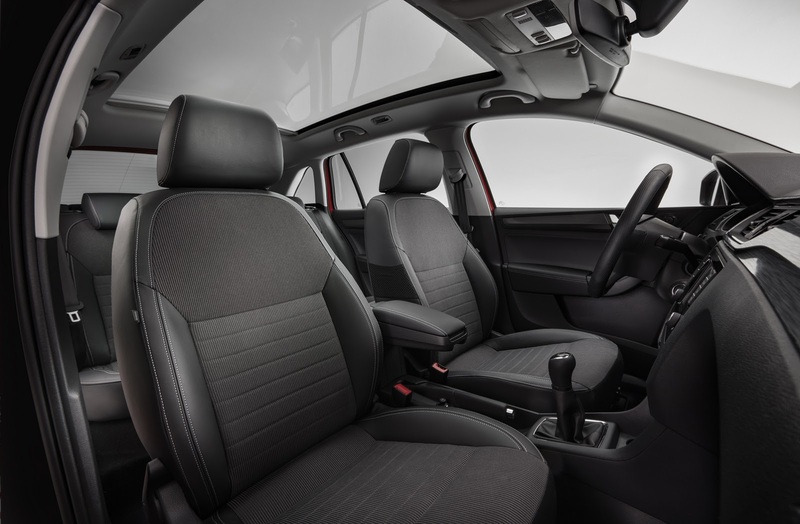 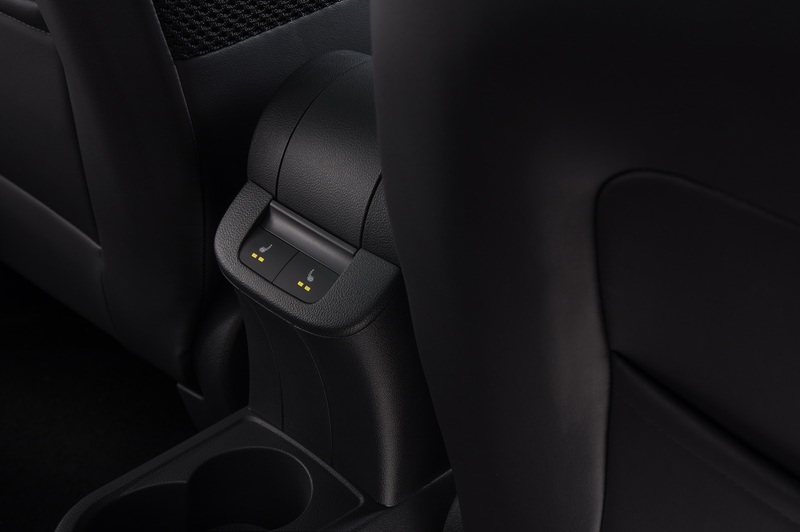 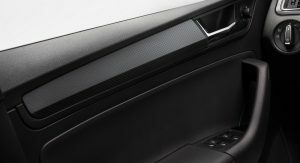 As for the interior, both models come with new door inlays and new air nozzles, plus connectivity features such as WLAN hotspot. 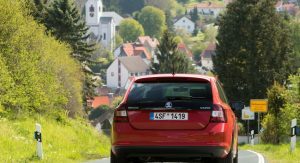 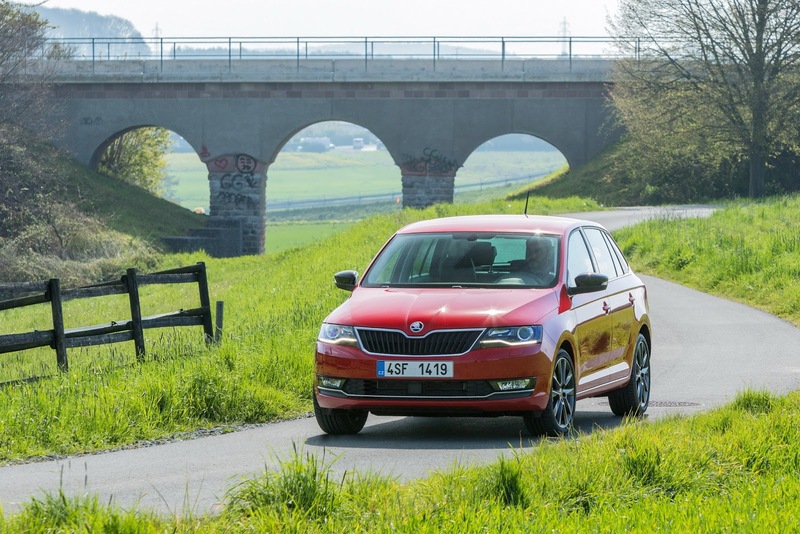 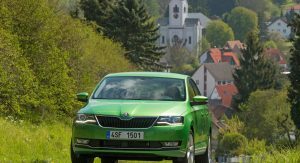 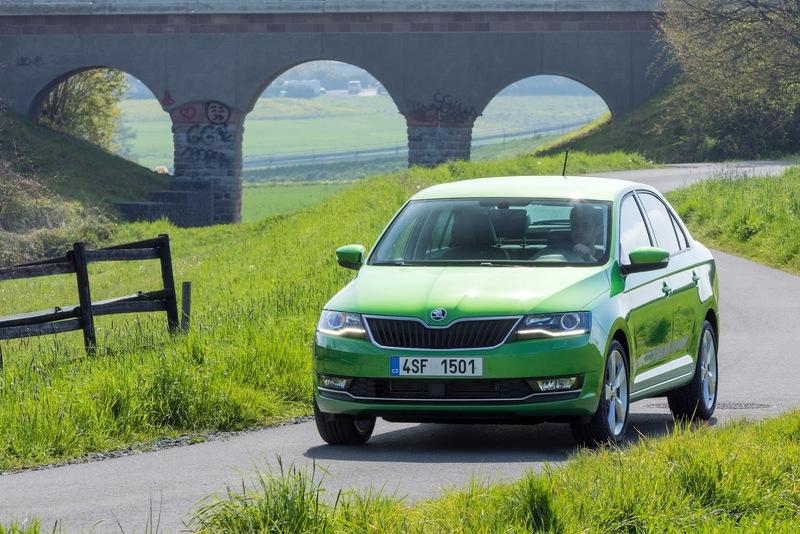 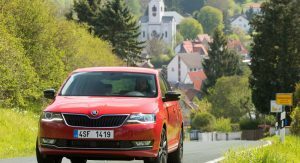 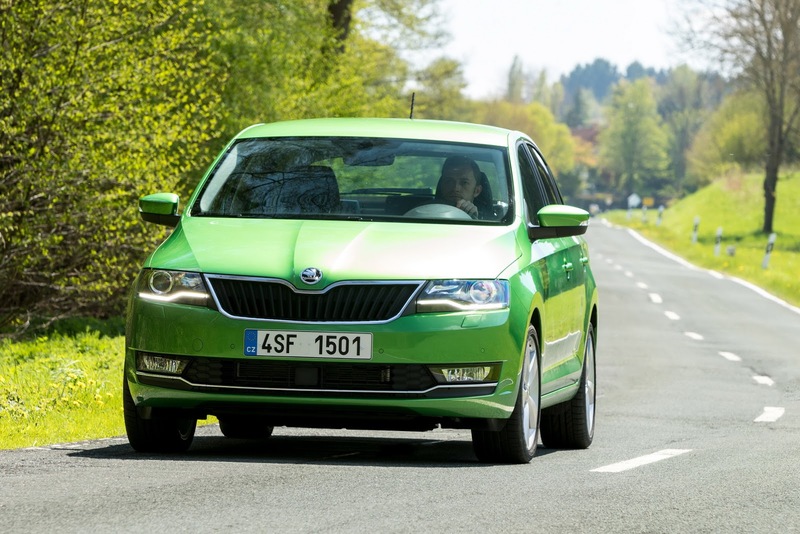 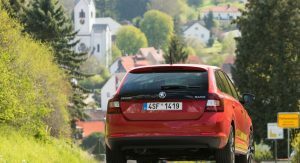 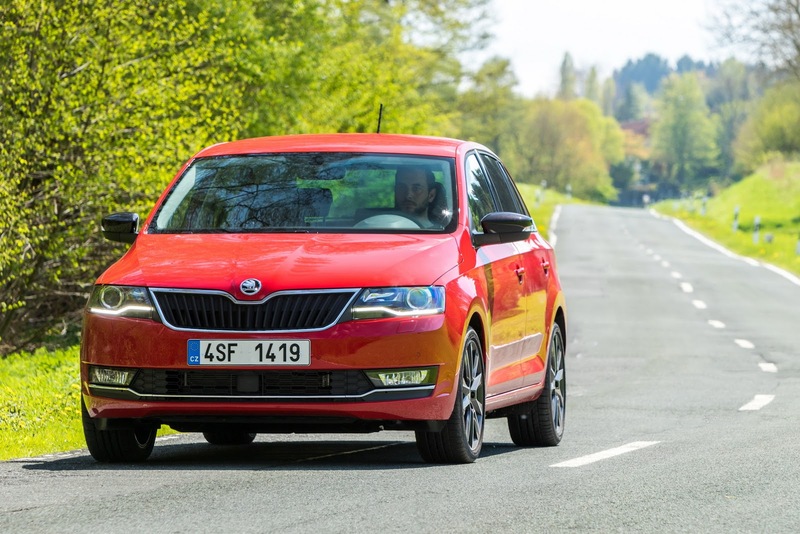 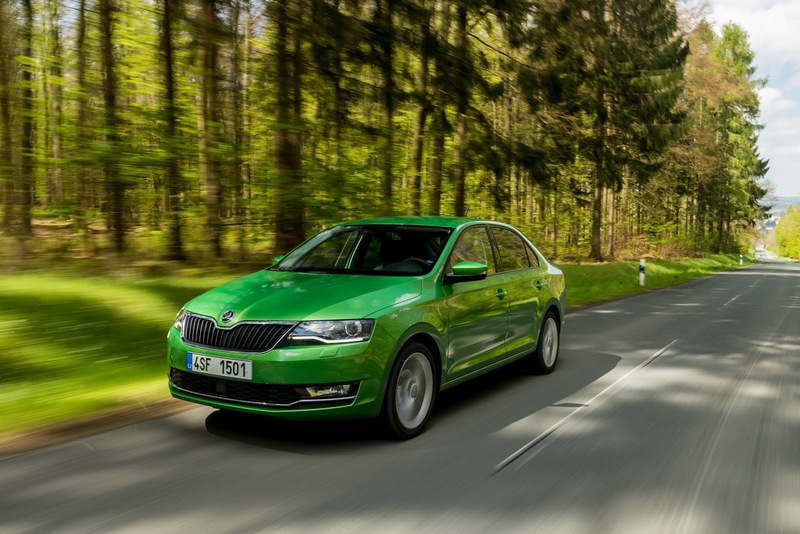 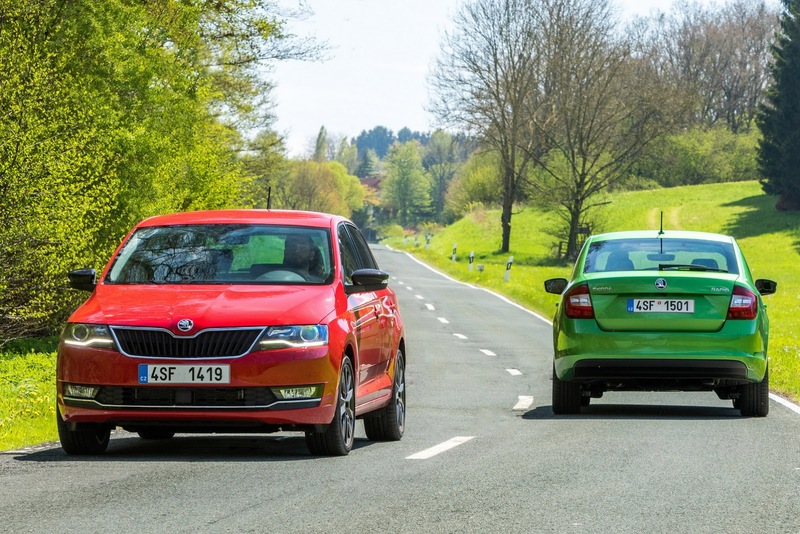 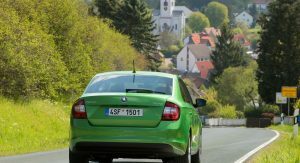 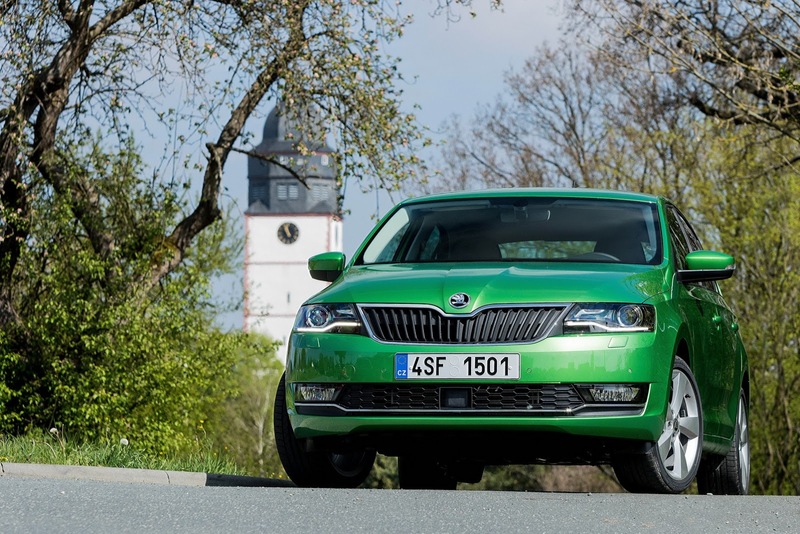 In the active safety department, Skoda has made ESC and continuous tire pressure monitoring standard across the range in EU countries. 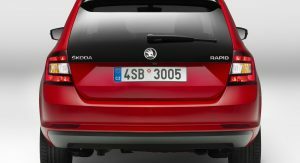 In addition, the Rapid now comes with Multi-Collision Brake as standard, plus options such as Driver Alert, Front Assist, City Emergency Brake, Hill-Hold Control or fog lights with cornering function. 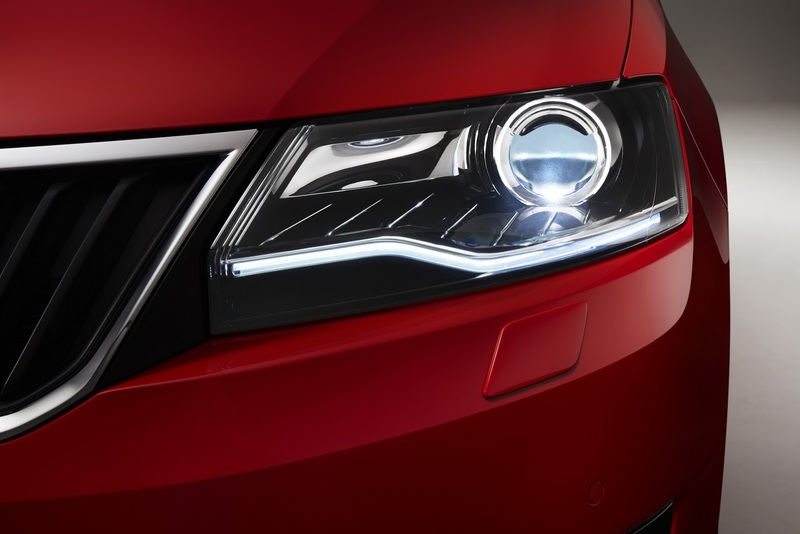 Customers opting for an Ambition model or above can enjoy the High Beam Assist function, which operates at speeds of over 60 km/h (37 mph) – the sensors recognize vehicles ahead (up to 400 m / 437 yards) and dip the beam when required. 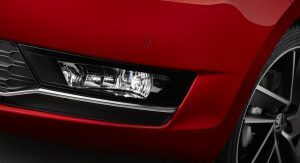 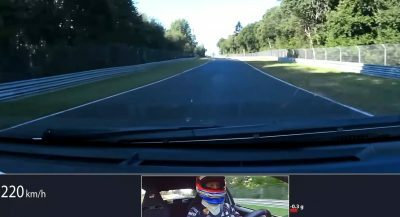 It will even work for oncoming traffic at distances of up to 1,000 m (0.62 miles). 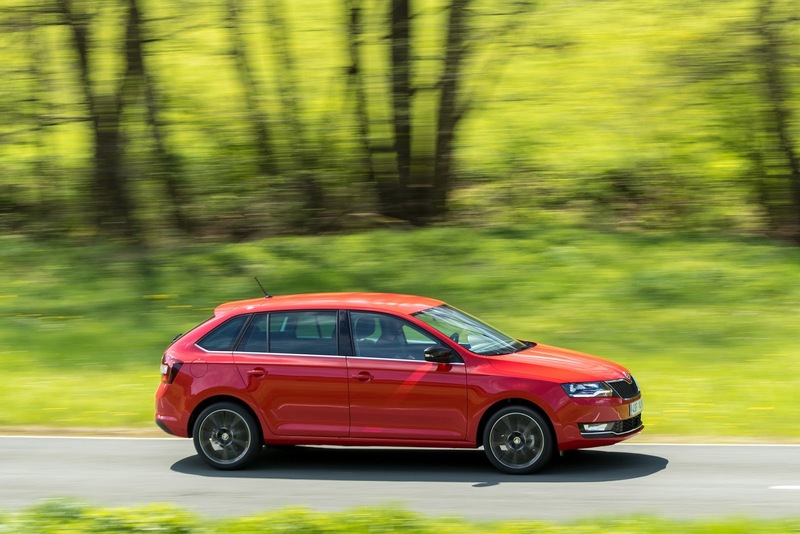 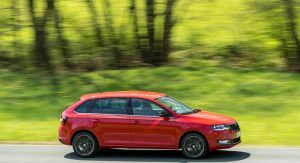 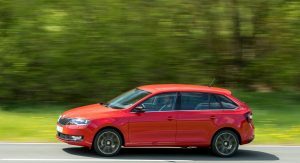 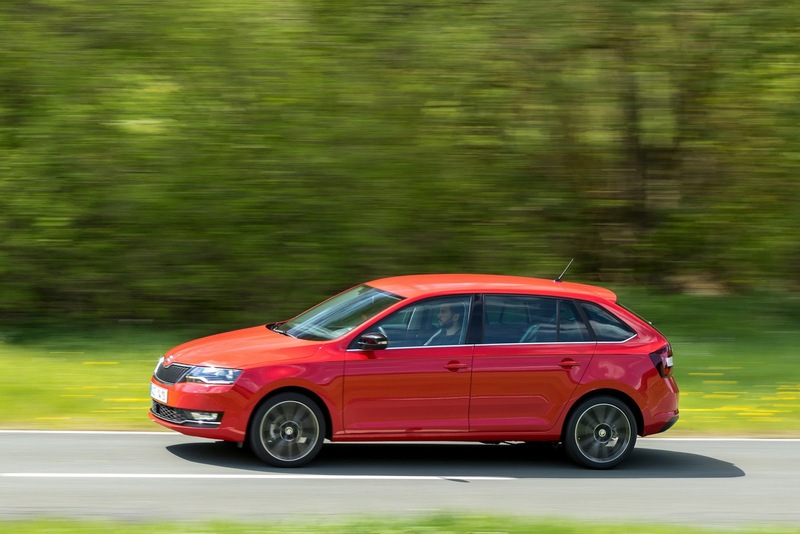 The Rapid and Rapid Spaceback’s new 1.0-liter TSI petrol engine is available in two power outputs, namely with 95 PS (94 HP) and 110 PS (108 HP). 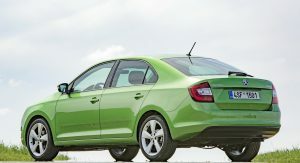 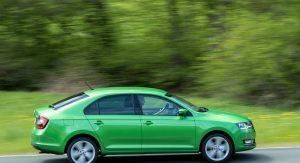 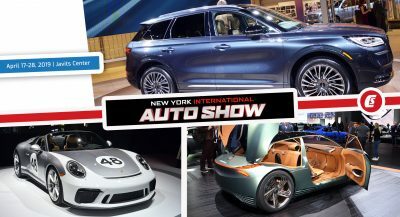 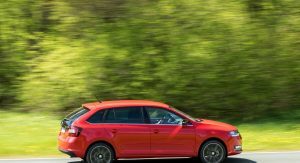 Other engines include the 125 PS (123 HP) 1.4-liter TSI, a 90 PS (89 HP) 1.4-liter TDI and a 116 PS (114 HP) 1.6-liter TDI. 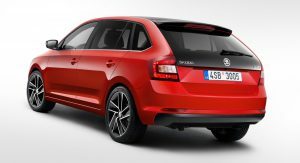 Both variants can also be ordered in Monte Carlo trim, which means black 16″ alloys (17″ optional), tinted taillights as well as rear and side windows, standard bi-xenon headlights with dark underlays for the front fog lights, plus other black design features such as the trim that frames the radiator grille, the wing mirror housings, front and rear spoiler lips and the sill trims. 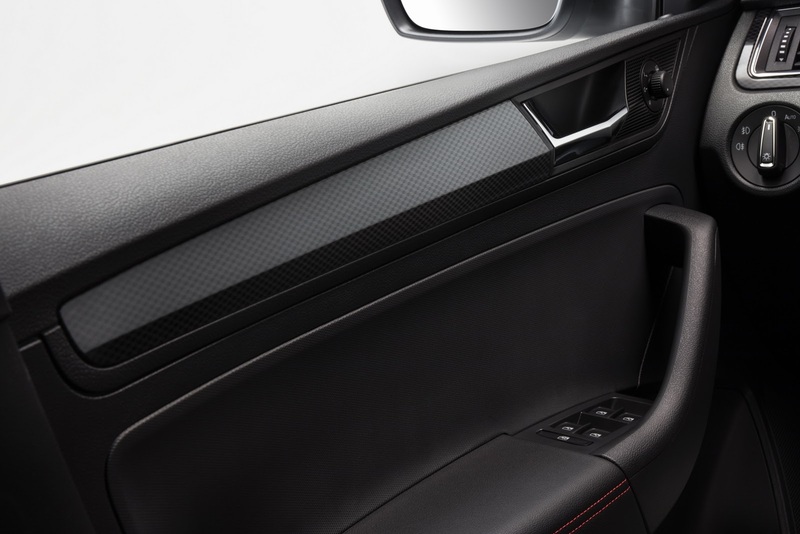 Inside, Monte Carlo models get a three-spoke sports steering wheel, perforated leather, red decorative stitching, black with red leather gearstick knob, center armrest and door armrests, a carbon effect trim on the dashboard, stainless steel pedals and a special sports graphic background for the instrument cluster. 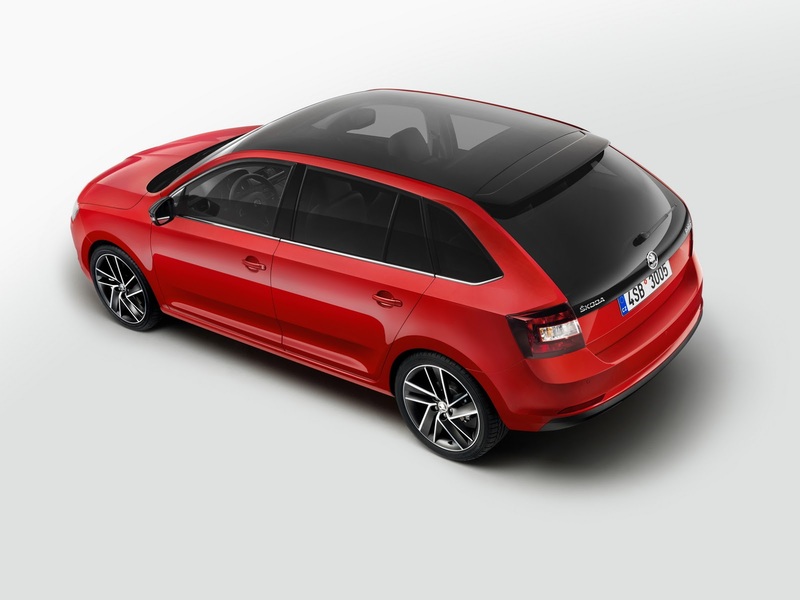 Only for models with panoramic roof. 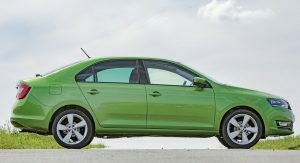 For some reason these Rapid’s don’t sell well over here. 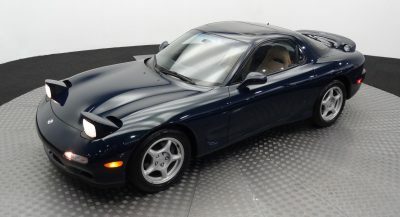 It’s actually a nice car for the price. 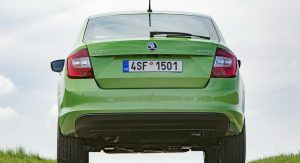 Bigger than a Seat Ibiza, and with the right colour and equipment it actually looks pretty good.